Heading into last season, the bantam team had some question marks as they had lost Callens heading into the season. Offensively, the team didn’t miss a beat as they led in the league in scoring averaging nearly five goals per game. For the second consecutive season, the bantam 99ers were regular season champions. Unfortunately, for the second consecutive season, the 99ers were eliminated in their first playdown matchup, this time against eventual champions Waterloo. With all the 03 born players back together, this season could be a special one for the city of Brantford. Starting up front, you could make the argument that Callens was the top forward for the minor midget team last season and he should contend for the title of top player in the league this season. In addition to Callens, Steve Laforme has some special skills and is definitely one to watch. Landon McCallum brings stick handling and vision while Brendan Anderson is a big option in the slot. I also forgot to mention the addition of Austin Connors, one of Elgin’s top forwards from a year ago. On defense, Hipkin will be regarded as one of the top in the loop this year. He has a calm demeanor about him on the ice and brings with him an under rated offensive game. If Hipkin is the number one defender on the club, then Zach Betts is 1A. Betts reminds me a lot of former Waterloo d-man Nate Allensen in his smooth skating when rushing the puck and his smart decision-making in his own end. Add in Jonah Cochrane to that defense and the 99ers have all-star potential in half their defense core. Gabe Robinson once again will be between the pipes for Brantford but will be joined this year by Ben DiGiallonardo who played with the Burlington Eagles last season. I don’t think I’m going out on a limb when I say that the 03 99ers team is much deeper in talent than the one that just won the Alliance a year ago. With that said, the Alliance as an association is much deeper than it was last season and that is what makes the upcoming year so exciting. Under the leadership of head coach Scott Rex and his staff, I see Brantford being one of, if not the top team in the loop and making another run at the Alliance title and the OHL Cup. This team is chalked full of legitimate talent and will be a joy to view for the next seven months. 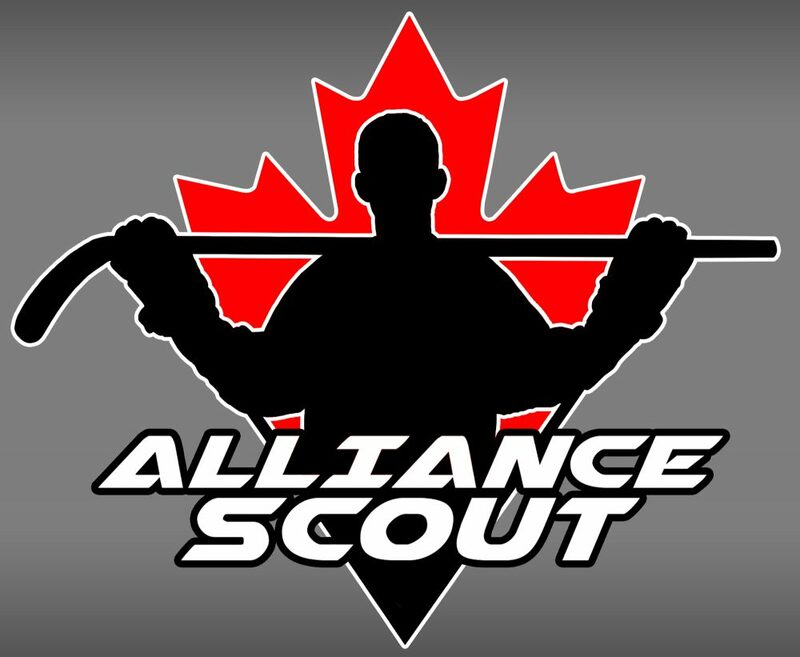 This entry was posted in Alliance Hockey, Alliance Scout, Brantford 99ers and tagged Alliance Hockey, austin connors, ben digiallonardo, Brantford 99ers, brendan anderson, cole hipkin, dylan robinson, gabe robinson, jonah cochrane, landon mccallum, maddox callens, nate allensen, ohl cup, scott rex, steven laforme, theo hill, zach betts by Dave Coulson. Bookmark the permalink.